Whether active duty, retired, national guard or reserve - is someone who, at one point in his life, wrote a blank check made payable to "The United States of America" for an amount of "Up to and including my life." Need to find someone that fought in the Vietnam War? The Virtual Vietnam War Memorial Wall has every soldier that has fallen during the war. 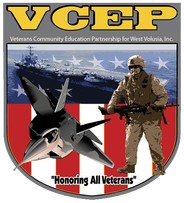 VCEP (Veterans Community Education Partnership) is a Federally tax-exempt education organization [Section 501 (c) (3)]We are also a registered charity with the State of Florida. Veterans Community Education Partnership of West Volusia, Inc.